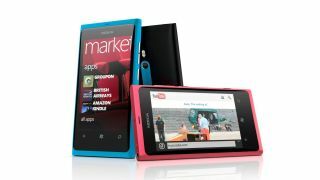 Nokia's software update for its Lumia 800 and Lumia 710 handsets should start rolling out this month. The upgrade should start to make its way to customers this week, wuth Nokia pushing it out from June 27, and it will bring a host of new features to the handsets. Lumia owners may be feeling a little deflated after learning their devices will not get an upgrade to Windows Phone 8 – but Nokia has committed to Windows Phone 7. The first feature which will grace the 800 and 710 as part of this update is Wi-Fi hotspot compatibility – which Kevin Shields, Nokia's Senior VP, unveiled to TechRadar in our in-depth interview - allowing owners to share their mobile internet connection with up to five other devices. The camera app will see a host of new features, including smart group shot, action shot, self timer and panorama, plus you'll also get Nokia's Play To – which allows users to stream media wirelessly to DLNA compatible devices. Slightly less fantastical, but possibly still useful, is the 'flip to silence' feature, which will mute the ringtone for an incoming call when the handset is flipped over. Finally Nokia has also promised a range of exclusive new applications once the update has been installed on your handset. You'll need to connect your Lumia 800 or 710 to your PC and use the Zune software to get the update.